A digital negative is like any other film negative but rather than being made using wet chemistry in the darkroom, it's made using the computer, an inkjet printer and high quality transparency film. 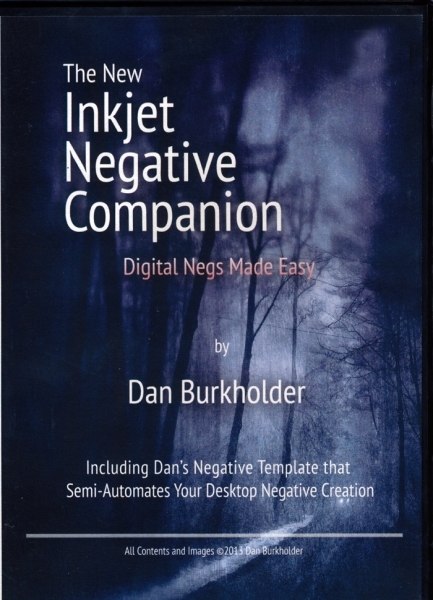 Dan Burkholder shares his easy method for making darkroom negatives using an inkjet printer in The New Inkjet Negative Companion Digital Negs Made Easy DVD. The DVD contains a 113 page PDF and Dan's handy Photoshop template with all the steps built in to give photographers a no-fuss way to make digital negatives. 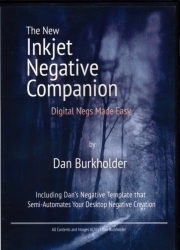 Making digital negatives is as automated as you can get, just drag in your image and click the layer for your printer. These tonally rich contact negatives will bring digital control into your darkroom for photographic printer processes such as silver gelatin, platinum/palladium, cyanotype, Van Dyke and others.